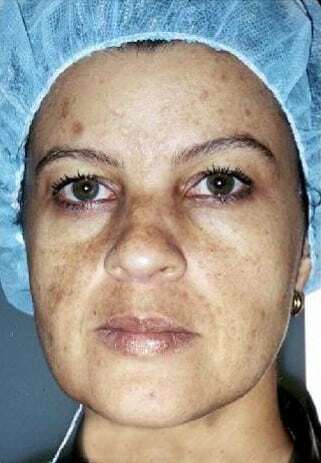 Cosmelan® treatment is one of the most effective depigmentation treatments available and is currently one of the the most widely sold skin whitening treatmenst in the world. Cosmelan® is a topical skin whitening treatment that reduces dark spots and patches. Its revolutionary formula has been designed to achieve maximum efficacy and ensure optimal tolerance. The Cosmelan® method acts on the cells that are responsible for skin pigmentation, inhibiting melanin production in hyperpigmented areas and thereby reducing or lightening unsightly blemishes and spots. After the first or second week of treatment with Cosmelan®, the appearance of the skin is visibly improved. The spots are lighter and less noticeable while the skin looks younger and glows with a new radiance. The treatment has an efficacy rate of up to 95% when treating cases of age spots, dark patches and hyperpigmentation. Individual results may vary. The process itself is fairly simple, it has two steps: the professional treatment at the clinic (first step) and the at-home care treatment (second step). In the clinic, we will clean and prepare your skin, then apply a thick Cosmelan mask. It might sting a bit, but that will go away fairly quickly. The mask must stay on for up to twelve hours, but we will tell you how to remove it and give you an after-care kit you can use at home. Once you get home, you’ll remove the mask after the specified period of time, then apply our after-care kit to help protect and moisturise your skin. Peeling will start a few days after application, and you’ll need to apply the home care cream few times a day for two weeks. All types of pigmentation can be effectively treated with the Cosmelan Depigmentation Peel, including hormonal pigmentation such as Melasma. 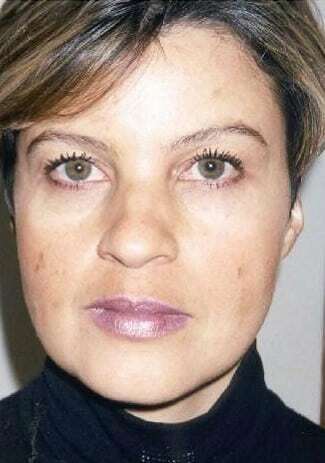 The Cosmelan Depigmentation Peel involves just ONE treatment and a homecare regime lasting for approximately one month. There is sufficient downtime involved with this treatment. After effects include skin peeling, redness, dryness and discomfort during the homecare regime. We will however be on hand to help you through the process and keep reviewing your progress.